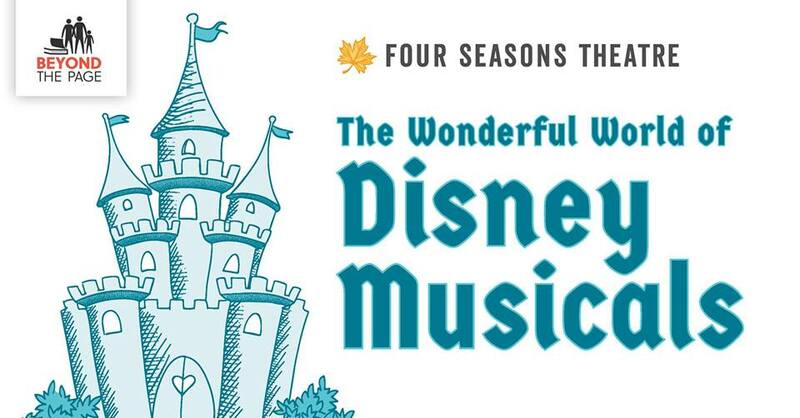 This program features local performers from Four Seasons Theatre who will bring you the Disney songs that you know and love, followed by a talk-back with a Hans Christian Andersen expert who will engage the adult generation of Disney fans. This program includes three parts-stay for all three, or come for the parts of Disney Musicals that interest you most! Sea Creature Craft (30 minutes): Kids of all ages can create an underwater animal from "Under the Sea" that might live in the world of The Little Mermaid. We'll provide the materials, and you provide the imagination! Disney Out Loud (30 minutes): Performers bring you the music of Disney animation, spanning the decades from Snow White to Frozen. We'll invite any crafters who want to show off their creations to join us for a sing-along of "Under the Sea” from The Little Mermaid. Getting to the Source (30 minutes): Professor Claus Elholm Andersen lead a discussion of Hans Christian Andersen's The Little Mermaid and other tales. Learn about the origins of these tales and participate in a talk-back exploring the meanings and adaptations of these stories. Thank you to our sponsors: Beyond the Page, Madison Community Foundation, and National Endowment for the Humanities.